Theatre weeks and Workshops at Little Voices Newcastle! Join us this year for lots of exciting workshop days and theatre weeks in 2019! 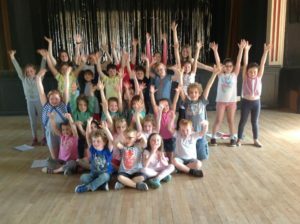 Little Voices Newcastle are providing lots of fun theatre weeks and workshop days which will involve lots of singing, dancing and acting! They are open to ANYONE (not just Little Voices pupils)! What are theatre weeks and workshops? PLACES ARE LIMITED! DON’T MISS OUT!